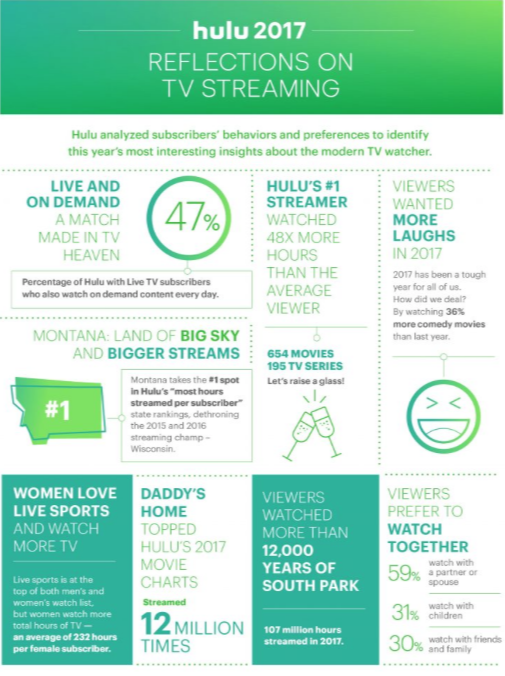 Hulu has released year-end data showing that its viewers, all based in the US, turned to comedy for light relief in 2017. During a year of uncertainty, Hulu claimed that “more people needed to laugh more often” and took to the streamer to view a range of comedies. Americans watched more comedy TV shows this year in comparison to 2016, with 20% more people viewing It’s Always Sunny in Philadelphia, 20% watching more of The Goldbergs and 29% more watching Brooklyn Nine-Nine. Parks and Recreation received 32% more demand, but it was Kenya Barris’ Black-ish that surged the most, bringing in 104% more demand than the previous year. 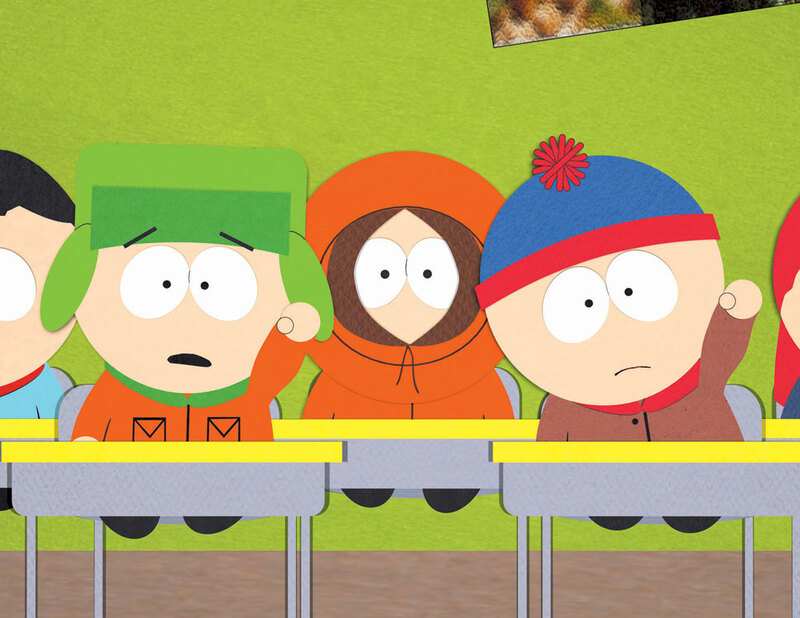 Americans have streamed 107 million hours of South Park on Hulu in 2017 so far. Season 20’s episode ‘The End of Serializations as We Know It’ was the most watched single programme. Family Guy, Bob’s Burgers and Rick and Morty were also some of the most popular titles in 2017, along with a range of comedy movies such as Will Ferrell and Mark Wahlberg’s Daddy’s Home. Hulu viewers watched 36% more comedy movies than they did in 2016. It was Hulu’s original drama The Handmaid’s Tale, however, that gained the most views on the platform with 66% of viewers watching each new episode within the first three days of availability. Hulu currently faces an uncertain future in its current state after Disney’s purchase of 21st Century Fox last week. The streamer is part owned by both companies, making Disney’s share 60% once the deal is done. Whether it remains in its current state or is merged with Disney’s planned SVOD service is unclear.